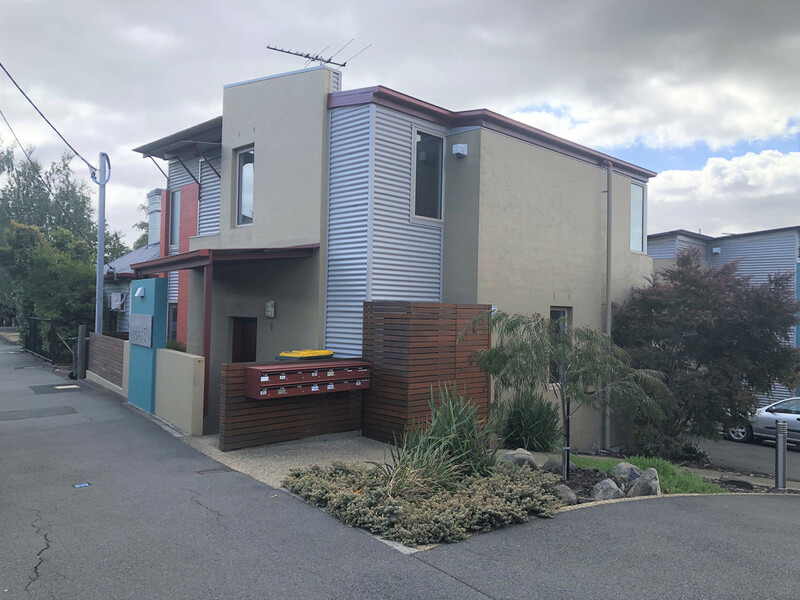 This spacious 3 bedroom 2 bathroom double storey town house is conveniently located on the Hobart/North Hobart border in the modern Viridian Complex. The home comprises of a well appointed modern kitchen, with ample bench space with adjacent tiled dining area. The living room has been freshly carpeted and enjoys plenty of sunshine with a view onto the private courtyard area. Downstairs also includes a laundry and powder room. Upstairs you will find the master bedroom with large ensuite bathroom. The second bedroom, with little balcony over the courtyard, and third bedroom share the main bathroom. All bedrooms have large built-in robes and are carpeted. The sun-filled courtyard also has a good sized lock-up storage shed available for the tenants use. Two off-street car parks complete the perfect package. Available now. Prefer a 12 month lease.